This past Tuesday, I released a long gestating project called "From Pee-wee to Peregrine: Why Tim Burton Still Matters." This essay was created as a personal challenge for me to create a full length analysis of one filmmaker. Considering that his most recent film Miss Peregrine's Home for Peculiar Children is currently playing in theaters, I felt that it would be appropriate to look at the eclectic work of Tim Burton, who I maintain is one of the most visually singular directors of the late 20th century. It is currently available on Amazon and Smashwords for $1.99. For those still curious, I have provided an excerpt from the essay called "What is Burton-esque?" Please check it out and feel free to check out the essay's other chapters on his cultural impact and why he continues to resonate. In the latter half of the 20th century, who would you say is the most distinguishable movie director? This isn’t an argument of quality so much as the capability to pick out a film from a line-up of still frames. A distinguishing feature is something so explicitly unique to that artist’s voice that its influence can be read from any director who imitates them. With this question, still in the forefront of your mind, now ask yourself a harder question: who is the most successfully distinguishable movie director? The answer begins to turn into a facet of ideas about what art truly is. Great art doesn’t often top the weekly box office. Likewise, being distinguishable is itself akin to being your own brand; as if you wear a logo on a shirt that is as noticeable as Nike’s swish logo, or Frosted Flakes’ Tony the Tiger. The easy shortcuts for a movie director is to latch onto franchises, or reinvent period pieces in their image. It’s essentially turning every film into their version of the runway from Milan’s Fashion Week. While the order may be surprising for some, it’s predominantly the usual suspects of modern cinema. To varying degrees, these are the innovative voices that have defined summer blockbusters as well as intellectual dramas. Both David Yates and Chris Colombus appear on this list largely thanks to contributions that they’ve made to the highly successful Harry Potter franchise, based on the books by J.K. Rowling (considering that Fantastic Beats and Where to Find Them is also directed by Yates, expect his total to rise significantly before 2016 is over). For most everyone else, they have signature franchises, such as James Cameron’s The Terminator series, Michael Bay’s Transformers and Bad Boys series; and even Gore Verbinski has The Pirates of the Caribbean series. These are all directors whose names need very little introduction. Their films have essentially burrowed into pop culture and have become their own beast. While there’s no arguing that the critical success of Steven Spielberg’s popcorn adventure flicks and moody dramas make him the most successful both with audiences and critics; can someone blindly recognize what a Spielberg film looks like? This is very easy for most people, especially if you’ve seen the catchall list of E.T. : The Extra Terrestrial, Jurassic Park, and Raiders of the Lost Ark. These are iconic characters and moments seared onto the collective consciousness of anyone who has watched a movie in the past 30 years. Yet can one truly be able to distinguish the unifying visual aesthetic between his classics and the less acclaimed films like Always, Hook, Amistad, The Adventures of Tintin, and The BFG? There may be a familiar earnestness to the films, thanks in large part to John Williams-composed scores, but the issue becomes problematic when you notice that tonally, Spielberg has a wide sensibility and his aesthetic often is used to compliment the scene. Basically, there’s an inconsistent pattern to recognizing Spielberg’s films, even if he’s the most successful and influential director in history. There are others that may be easier to notice but don’t often get the acclaim for their aesthetic. Bay often gets accused of making mindless action movies. He’s even satirized this in Pain & Gain. There’s an overwhelming sense of destruction and ugliness that is seen more obviously in the four Transformers movies, but also is prevalent in his less financially successful works. Likewise, Verbinski owes a large amount of his success to his ability to revitalize pirate movies with The Pirates of the Caribbean by turning the swashbuckling lore into riveting action. It also helps that the films produced actor Johnny Depp’s most famous character: Captain Jack Sparrow, a drunken pirate who flies by the seat of his pants. To go even further, Yates’ success largely feels like an attribute of being an obedient studio director who could deliver consistently engaging Harry Potter movies, which would make money on name recognition alone. While Christopher Nolan may be the closest that the 21st century has come to bringing a distinguishable director that balances original films (Inception) with franchise titles (The Dark Knight trilogy), the point of this essay is to talk about directors who had success along with a distinguishable look in the 20th century. It is easy to get hung up on quality, especially if one wants to count directors known more for critical acclaim than box office; such as Martin Scorsese, Wes Anderson, or Stanley Kubrick. However, I choose to argue that broader influence is just as essential to being a distinguished director. 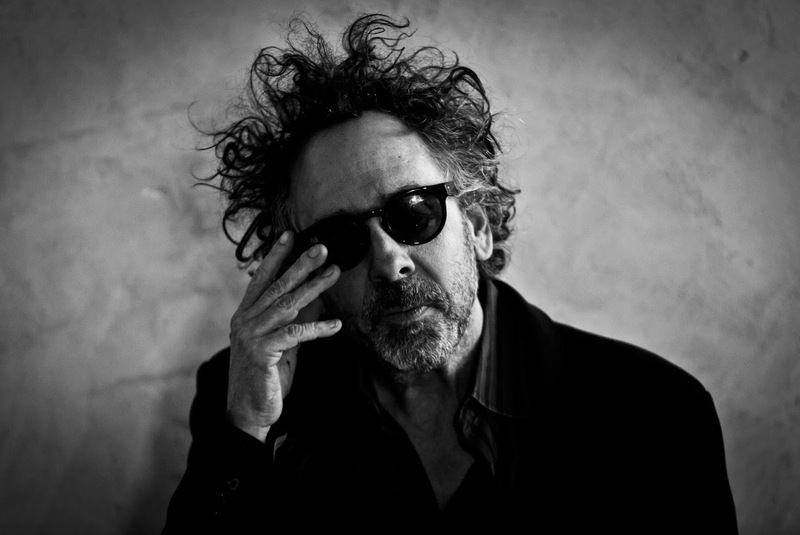 For that reason, I am arguing that Tim Burton is the most distinguished director from the latter half of the 20th century. This may sound absurd, even given the critical backlash that he has faced over the past decade. Yet it must be reminded that to be distinguished isn’t to have a flawless record. It means that in the contribution to cinema, Burton’s look has shifted how others perceive cinema. It’s about how he turned goth culture into hot properties that grossed hundreds of millions internationally. Considering that Burton has only directed one sequel (Batman Returns), it’s amazing that he is as financially successful as he is. His films deal with outsiders that never look like conventional movie stars. They have morphed into looking like live action cartoons with eccentric costumes, set designs, and humor. So, why is he so successful then? The reason is simple. His cinema created its own style of filmmaking called “Burton-esque.” He has managed to establish himself as a brand that has a predictable, reliable troupe that frequently includes actors Johnny Depp and Helena Bonham Carter; as well as composer Danny Elfman who has worked on all except three of Burton’s 18 films (as of September 2016). The subsequent players may come and go, but Burton films have a built-in anticipation, even if audiences have no idea what the story is. This remains true as of 2016 with Miss Peregrine’s Home for Peculiar Children topping the box office on opening weekend. There is a lot to understand how being “Burton-esque” has impacted the modern cinematic landscape – most of which will be explored in this essay. One can piece it together by noticing it in the pale make-up, uncombed hairstyles, and the drab costume designs that often falls somewhere between grey and black (or sometimes black and white stripes). His look is so distinct that College Humor once made an accurate criticism of Burton’s work in a skit called “Tim Burton’s Secret Formula,” which suggested turning every set design black while having Elfman play a series of redundant “bom-bom-bom” patterns. While it’s indicative of how tired his style has become, it still is reflective of how influential his style is in ways that Spielberg’s masterpieces could never be. He has inspired YouTube videos where film classics are remade in his style, and often the recognizable look is part of the joke. With the release of Miss Peregrine’s Home for Peculiar Children on September 30, 2016, Burton seems just as viable as ever. With a story that very few people likely will know going in, it seems like a perfect time to do as he has done repeatedly throughout his career: introduce audiences to his vision. While it may not have Depp or Carter by his side, it does have a lot of the familiar themes of outsiders and dark yet eccentric set designs. Considering that he’s coming off one of his most personal films, Big Eyes, one could only wonder how self-reflection will influence the next decade of his career. Until that happens, it’s time to look back on the 30 years that changed cinema forever. His work has changed not just how horror is perceived, but also how we see superheroes, classic literature adaptations, Johnny Depp as an actor, cinematic color pallets, and even reboot culture in general. The following will attempt to make sense of everything, plus how he has influenced fashion and merchandise culture thanks in part to retail chain Hot Topic. Many could argue that he isn’t the best director to ever live, but there’s no denying that without him, the modern American mainstream cinematic landscape would be totally unrecognizable and possibly free of movies that unabashedly pay homage to B-Movies, Universal Horror, and even dark and gritty superhero tales. What is Burton-esque? It is cinema that embraces eccentric outsider culture through pale, gothic colors and stories told through a macabre and sarcastic sense of understanding. Yet there’s so much more to his work that makes him so distinguishable. Join in as I explore the many facets that not only make up a Burton movie, but how it has impacted everything after the fact. Many, like Quentin Tarantino, have come close to being equally singular, but none have the towering financial success to back it up quite like Burton has. It’s not always an indicator of quality, but it counts for why he still matters after 30 years while many of his contemporaries (Joe Dante, Sam Raimi, etc.) are great directors often left at the wayside. He found a formula that worked and perfected it, maybe even to a repetitive and lazy degree. Yet he made a genre of film that works as a still image as well as in action. Burton-esque is inescapable, and that’s a good and bad thing. 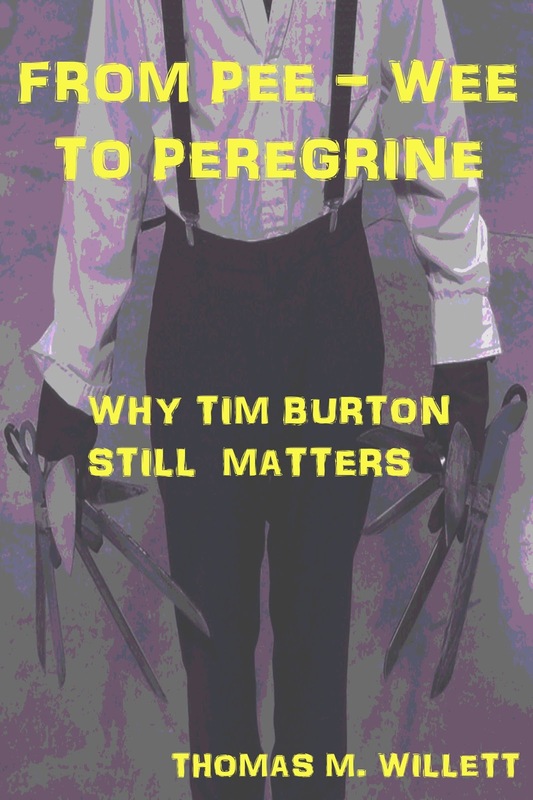 If you would like to read more, you can purchase "From Pee-wee to Peregrine: Why Tim Burton Still Matters" for $1.99 on Amazon and Smashwords.